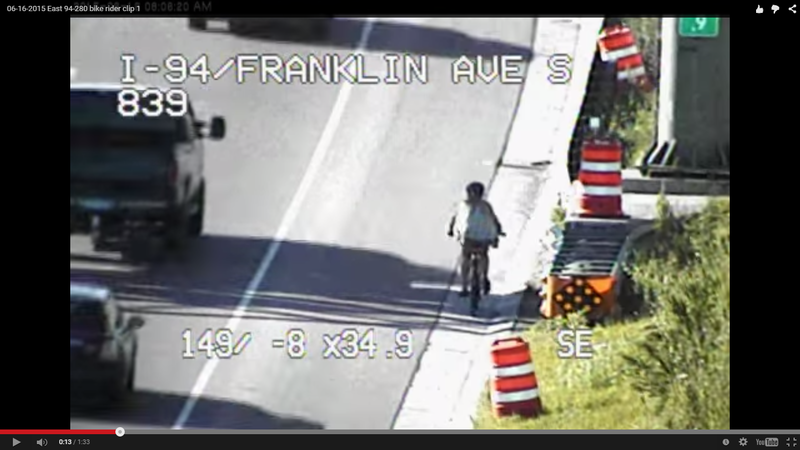 A kid riding her bike on the freeway! A 14 year old girl in Minneapolis rode her bike on the freeway because GPS directions told her that was the way to go. She was lucky — she didn’t turn into windshield pizza and was escorted to safety by state troopers. I know that GPS is supposed to make our lives easier, but, good God, it doesn’t mean we can turn off our brains! Or maybe her parents are totally absent and she has been raised entirely by electronic devices, and that’s why she trusted her GPS so thoroughly that she followed it into the gates of hell. On the other hand maybe she’s just not that bright, or has a lot of teenage hubris, and her parents justifiably hit the roof when she came home in a state trooper’s car. Either way, let this be a cautionary tale: GPS merely suggests routes. It is not God. Treat it accordingly.